You know what? There's still quite a few people who look surprised when I say that, as a wheelchair user, I go to the gym. Sure, I may not always get it right first time and my exercises might not be picture-perfect, but I've always found a way to adapt my fitness regime so that I can get the ability out of my disability. 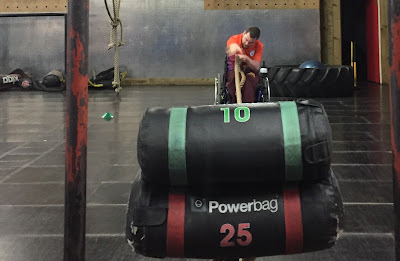 Here are five things I've noted about going to the gym as a disabled person. Yes, I need a bit of help... Don't we all? At the gym, I usually am accompanied by a glamorous assistant who helps me get on and off the machines, pass me any weights I can't pick up easily, set up any machines that I can't sort you myself, and remind me when I've lifted 50 reps on one set and I think I've only done twenty (seriously, when I get into beast mode, I'm unstoppable haha). 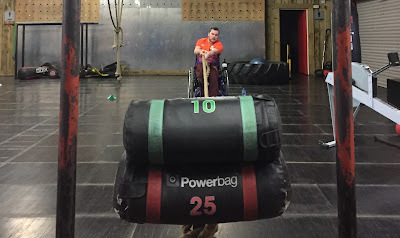 Thinking about it, in many ways, having a gym buddy isn't that different to how many able-bodied people exercise: I'd highly recommend it as having someone to go to the gym with can keep you motivated and you can teach each other techniques. Seriously though, going to the gym would be difficult for me if it wasn't for the guys who assist and motivate me: thanks to my old man Rob, Jase, and Kev for their assistance (and patience) over the years. 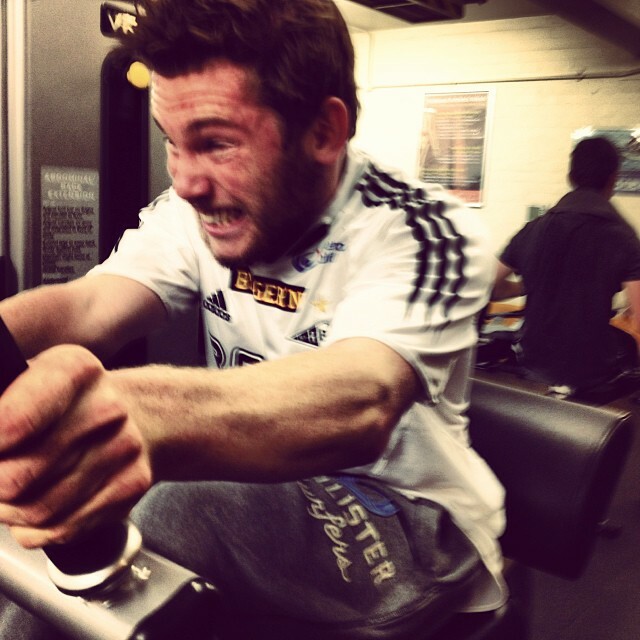 Just ignore the people gawping at you as you get on the off the machines. Yeah, this is something that happens to me all the time, especially as my balance can be a bit skew-whiff when I try to stand up. When I get on and off the machines (especially the treadmill and stepper), people often stare at me in some weird amazement that a disabled person can use a given machine and lift that level of weight. I'm fine with that and I sometimes jokingly stare back at them. People at my home gyms of the Village Wirral and the Underground Training Centre on the paradise peninsula (as well as the Esports UB in Barcelona) are used to my weird and wonderful ways, but it can be particularly interesting to watch people get nervous and start staring at me if I'm travelling and decide to go to a new gym. If it doesn't work the first time, try again! I've lost count of the amount of times I've been trying out a new exercise and I've had a dreadful first set because my legs have flown out halfway through, my posture has been dodgy, my range of movement not good enough, or I've misjudged the technique required completely. This has happened far too many times to mention, but I've always gone back to these exercises to try again and many of movements I've struggled with first time have gone on to become favourites of mine after technique coaching or adaptations. I love doing abdominal crunches now, but when I first started, they were really difficult to get right. 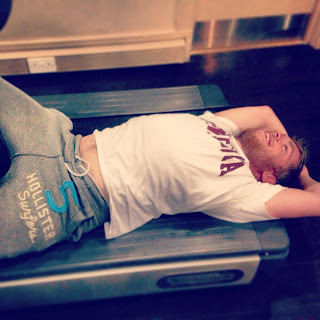 If there's a machine or exercise you struggled with during your recent workout, try it out again and ask someone to observe your technique as you do it, as this may provide the reason as to why you're struggling with it. Sure, there are exercises and machines that you seemingly can't do (the cross-trainer and bike are two that I cannot pull off), however, I've found that seemingly impossible exercises can be adapted to suit the wheelchair user. You've just got to be creative in adapting the gym to one's needs when you get in there and approach every new challenge positively. To illustrate this, I've recently started training at a new gym, the South Wirral Underground Training Station, with Kev. This is a place that holds weight-lifting competitions and has none of the usual machines that I'd come to associate with my usual gym sessions (it proudly claims that "The place where the only machines in the gym... are the people who train there!!" on its Instagram page). Ergo, it was necessary to adapt my usual, machine-heavy gym session to something entirely different (Kev was incredible at helping me make the transition); the first session was a bit weird, but needless to say, resistance bands, punchbags, and ropes that I can use to pull 35kg across the gym have become my new weapons of choice. Going to the gym isn't for everyone nor can everyone do intensive exercise and that's something society needs to come to accept and embrace. But, for those with a disability who can or want to exercise, society's ignorance and the barriers that ableist structures put in our place should be smashed through. Sure thing, it can be incredibly annoying to have the eyes of ten people on you as you lift or transfer from an exercise to your chair, but those people will come to accept your weird and wonderful ways of lifting and treat you as normally as they do everyone else. It's great that more and more gyms are becoming accessible and adapting their mindsets for disabled users. If you're a person with a disability (and your physician has said that it's okay), go and give your local fitness centre a go. Never, ever give up and, take the world by storm, and go and smash society's expectations.